Candidates running for Illinois Attorney General have been shown to be loyal to the Party. Aaron Goldstein is running to give the Attorney General’s office back to the people. He will be the people’s attorney. CHICAGO, IL, January 11, 2018 /24-7PressRelease/ — Candidates running for Illinois Attorney General have been shown to be loyal to the Party. 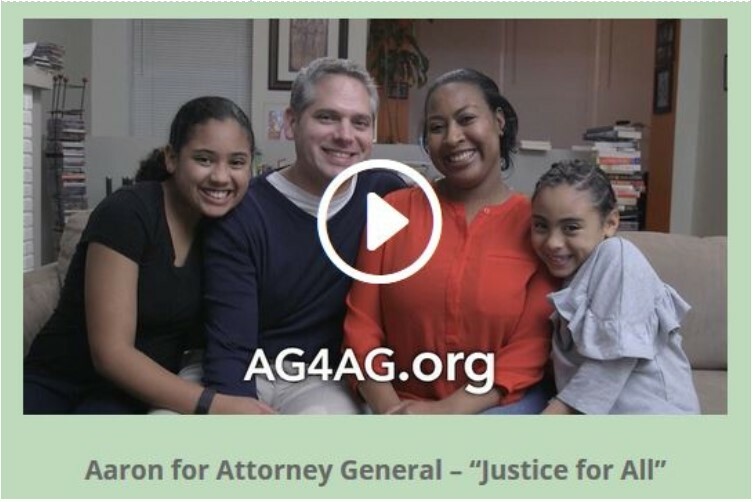 Aaron Goldstein is running to give the Attorney General’s office back to the people. He will be the people’s attorney. Right now, this office is representing big money, big corporations and political insiders. No one is representing the people. Aaron will return the office to its intended function. As a life-long Public Defender, Aaron Goldstein is the candidate who most truly aligns with the AG’s original mission. Unapologetically progressive, Aaron’s compelling new video, tells his story as a native Chicagoan who grew up to become a public defender of everyday Illinoisans. Goldstein graduated from Lane Tech High School and then earned his bachelors’ degree in political science from the University of Illinois and his JD from the University of Iowa. When he finished law school, he applied for only one job: to become a public defender, “because I believe in the human dignity of us all,” Goldstein said. He has devoted his career to representing individuals–real people–in criminal and civil rights cases. He has litigated hundreds of cases. In the video he shows how he stood up against the machine and won by beating long-time politician and power broker Richard Mell to become 33rd Ward Democratic Committeeman. He is running for Attorney General to make bold, progressive change–to stand up to powerful interests, make lasting criminal justice reform and fight government corruption. This video is part of a media campaign and will be seen throughout Illinois.